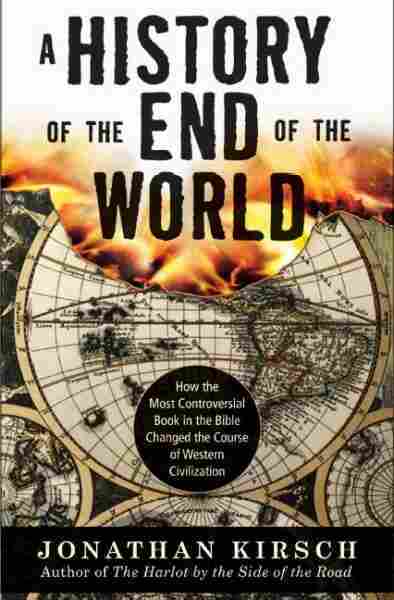 A History of the End of the World NPR coverage of A History of the End of the World: How the Most Controversial Book in the Bible Changed the Course of Western Civilization by Jonathan Kirsch. News, author interviews, critics' picks and more. An evaluation of how the book of Revelation has significantly influenced history and the modern world cites its place at the heart of culture wars between governments and religions, discussing such topics as how it was nearly cut from the New Testament, the role of the book in the fall of the Roman Empire, and its use in the establishment of foreign policy. "I know the ending," goes the slogan on a license-plate frame that can be spotted here and there on the streets and highways of America. "God wins." It's a credo that pious Jews, Christians, and Muslims hold in common, although they might quibble on exactly what is meant by the word "God." But the plainspoken slogan conceals a profound and enduring mystery: human beings of all faiths, in all times and all places, have wondered when and how the world will come to an end. Nowadays, of course, the very same questions are being asked (and answered) by scientists rather than theologians. For the Christian true believer, however, "the ending" refers to a scenario that is described in horrific and heart-shaking detail in the single scariest book in all of scripture, the book of Revelation. At the end of the millennium, Satan will break out of his bonds, and Jesus Christ will be compelled to fight a second and final battle. At last, the dead will be resurrected, the living and dead alike will be judged, and the earth as we know it will be destroyed once and for all. The end of the world, according to Revelation, will be followed by the creation of "a new heaven and a new earth," a celestial paradise where the Christian saints and martyrs will spend eternity in perfect bliss. Everyone else will sizzle forever along with Satan in a lake of fire and brimstone. That's the pitch line for the book of Revelation, so to speak, but the text itself is something even richer and stranger.The nightmarish landscape conjured up by its author is stalked by God and the Devil, the Lamb and the Beast, a lascivious whore and a woman in labor, angels and demons in the countless thousands, and a bestiary of monsters so grotesque and so implausible that they would not seem out of place in a comic book or a horror flick. At certain moments, in fact, the book of Revelation resembles nothing so much as an ancient prototype of the psychological thriller and the monster movie, and its imagery seems to fire the same synapses in the human brain. Above all, the book of Revelation has always been used as a kind of codebook to discover the hidden meanings behind the great events and personages of history—war and revolution, kings and conquerors, pandemic and natural disaster. And the words and phrases of Revelation, its stock figures and scenes, have been recycled and repurposed by artists and poets, preachers and propagandists—all in ser-vice of some religious or political or cultural agenda. The conquest of Jerusalem by medieval crusaders, the Bonfire of the Vanities in Florence during the Renaissance, the naming of the newly discovered Americas as the New World, and the thousand-year Reich promised by Adolf Hitler are all examples of the unlikely and unsettling ways that the book of Revelation has resonated through history. Even today, end-of-the-world fears and fantasies are peddled by Hollywood moviemakers and best-selling novelists, hard-preaching televangelists and presidential hopefuls. Still, the book of Revelation is regarded by secular readers—and even by progressive Christians of various denominations—as a biblical oddity at best and, at worst, a kind of petri dish for the breeding of dangerous religious eccentricity. Most Jewish readers have never bothered to crack open a copy of the Christian scriptures, and when they do, they are deeply offended to find that Jews are described in Revelation as members of "the synagogue of Satan. "1 Indeed, the fact is that Revelation has always been regarded with a certain skepticism—as "a curiosity that accidentally and embarrassingly belongs to the New Testament"—even within pious Christian circles, and even in antiquity.2 So the ironic and disdainful treatment of Revelation in Ingmar Bergman's The Seventh Seal, a darkly postmodern motion picture that questions whether God exists at all, is not wholly anachronistic. "Death is behind your back. His scythe flashes above your heads. Which of you will he strike first?" cries an overwrought preacher of the High Middle Ages as he wanders through a plague-ridden countryside in the company of flagellants and penitents. "You are all doomed, do you hear? Doomed! Doomed! Doomed!" And a battle-scarred squire, newly returned from . . .